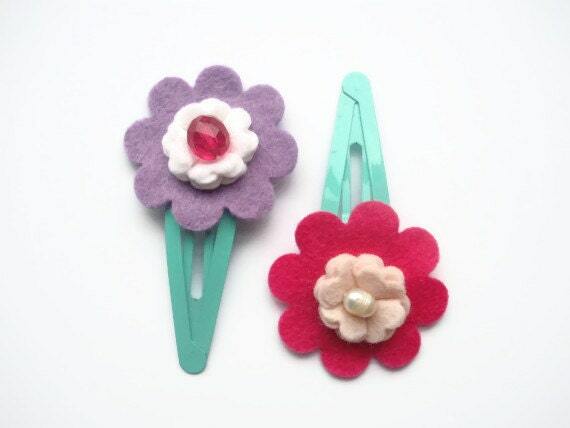 This is a pair of floral hair slides i have hand sewn and embellished. They look lovely worn as a pair or singly for a more subtle look. The centre of each flower is embellished with a bead.The finished clips measure 8cm by 4cm.